This is a question that comes up surprisingly often on search engines; clearly, owners are concerned as to whether nuts are good for dogs! After all, we love nuts, and we like to share our treats with our four-legged friends. It would be easy to answer the question with a straight ‘no, dogs cannot eat nuts’, but in fact that is not quite true. Before we get into the details of which nuts are bad for dogs, and which they can eat, consider that your dog needs a good, healthy balanced diet, and it is worth talking to a vet or animal nutritionist with regard to your breed. So, nuts: do you feed your dog a few while having some yourself? We strongly recommend you read what follows before you do! 1 Which Nuts are Good Nuts? 1.2 Can Dogs Eat Hazelnuts? 1.5 Can I Share My Peanuts? Which Nuts are Good Nuts? It’s not just nuts that can be bad for your dog. Over-feeding any animal is never a good thing, and there are certain foods apart from nuts that dogs should not be fed – chocolate for one. 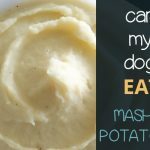 However, it’s nuts that we are talking about today, so let’s see just what we can tell you that might help you ensure you enjoy some snacks with your dog. Remember, a dog’s digestive system is not the same as ours; similar, and does the same job ultimately, but dogs are not designed like we are. This is one reason it is important to know what a dog is safe with, and what it is not safe with. In addition to the above, it is important to know that some nuts actually contain rather dangerous toxins. These are generally not dangerous to humans, given the small amounts, but as dogs are not like us their systems may not be able to cope. Also, it pays to remember that – although unusual – dogs can suffer from the same allergies to nuts that many people do. Let’s start by looking at individual types of nuts, and whether or not they are safe for you to share with your pet. One of the tastiest of all the nutty snacks, the cashew nut is a favourite for many of us. It’s a great way to enjoy a few nibbles – a bowl of cashews on the table when you’re watching TV or a film – and of course your dog is going to want to join in the fun! However, are cashew nuts safe for dogs? Well, we’re glad you asked! In fact, cashew nuts can be eaten by dogs, but there are certain provisos you should make. Cashew nuts are – like many foods in fact – safe for dogs in small quantities. After all, feeding a dog too much of anything is never going to be good! Also, you need to ensure the cashew nuts you feed to your dog are either cooked or roasted; this is because the raw nut can contain a toxin that is poisonous to dogs, and this will be removed from the nut when it is heated. Too many cashew nuts may give your dog stomach pain – and may do the same to you, too – so make sure it’s only a few at a time, and if you’re not sure the nuts have been cooked, don’t give him the nuts at all! Also, be aware that cashews have a high calorie count – so an overload of nuts will lead to weight gain – and that they can also induce allergies, so if you notice your dog having an adverse reaction, stop feeding it nuts right away. Hazelnuts – now we’re talking! The hazelnut is a favourite with many people – and rightly so – and represents one of the most delicious snacks of all. Very tasty, and nutritious too, it’s a nut that stands head and shoulders above most, but is it safe for your dog? There are in fact two ways to look at hazelnuts and suitability for dogs. The first is that, unlike many nuts, hazelnuts are not toxic to dogs. This means that if you feed your dog some when you are enjoying your snack, you will not do any damage to its health by inducing poisons that can be found in some other nuts. However, don’t go out and buy your dog a bag of hazelnuts just yet! The major problems with hazelnuts are two-fold: first, this is a large nut so you will not be wise to feed it to a small breed, ad even larger breeds can suffer choking from hazelnuts. The second problem is the calorie count; hazelnuts are extremely high in calorific content, and dogs are not designed for such intake. This can cause a problem with just a small amount of nuts, so the general recommendation is to avoid hazelnuts when it comes to dogs. This is a simple one to answer: don’t give your dog walnuts. There are a couple of reasons. 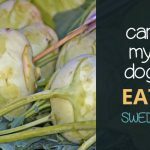 There are plenty of nuts that contain some very nasty toxins – especially if you are a dog – and there is some truth in the fact that walnuts do contain a toxin that, in some cases, can be harmful to dogs. However, there are others who say this is not the case. So what is the problem with walnuts? 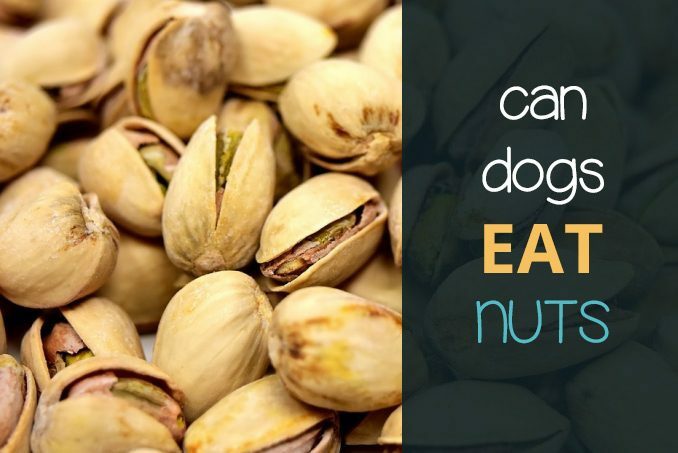 It’s the same as with many other nuts, and again there are two main reasons why you should not give your dog walnuts. The first is that they can take a long time to digest; this leads to problems with the dog’s intestines. They can lead to blockages in the stomach and elsewhere as a result. The second reason is the one we mentioned above: walnuts are a fair size, and it’s not difficult for a dog to choke on a walnut, especially smaller breeds. Even larger breeds may well suffer from the choking problem, so it is a type of nut that is certainly worth avoiding. Another point to remember when considering nuts – all types, even those that are not dangerous to dogs – is that dogs are not particularly gentle eaters. A dog has a tendency to gulp its food down very fast, and this is a problem when it comes to hard foods such as nuts. Can dogs eat pine nuts? It may not be one of the most popular nuts for you to snack on, but there is plenty to recommend pine nuts as a nice little treat. Not, however, for your dog, as this is one of the nuts that is very much a no go area. Pine nuts are not, like some others, at all toxic in terms of the ingredients within them – there are no poisons present, cooked or otherwise – so the problem with them is one of the usual ones. As the nut takes a long time to digest, it can cause serious irritation to the dog’s stomach, which can lead to further problems. Pine nuts are also very high in fat and phosphorous – both of which are not good for dogs in anything other than very, very small quantities – so this is definitely a nut that should be avoided. If you have any products you think may include pine nuts it might be worth checking them out, too, as they may also be a cause of problems. Can I Share My Peanuts? 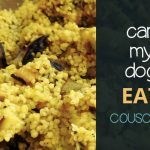 To begin this section, it’s never wise to feed your dog the same quantity of anything – nuts included – as you are eating, so sharing isn’t really the right way forward. One for you and one for the dog is not safe, so perhaps one every now and again – and yes, you can give your dogs peanuts in sensible quantities, and they will love them! Peanuts are not toxic for dogs. However, you need to be careful with the type of peanuts you serve to your pet. First, they need to be out of the shell, which makes sense as we don’t like the shells either! They must also be unsalted, as excess salt is not good for a dog. And, they can be raw or roasted. Now, we all know about peanut allergies in humans, but what about dogs? Such allergies do occur, yet dogs are far less susceptible to them than we are, so it is quite unlikely that a dog is allergic to peanuts. This does not mean your dog definitely won’t be, so do be careful when considering offering peanuts to the dog. Also, back to the old point about quantity: you really must be very, very careful how many nuts – whether it is peanuts or other types that you are giving your dog – you allow your pet to have, as too many really is a problem, and not just for the fat content but for digestion too. A little every now and again is the best advice on this point. 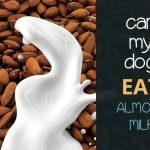 Almonds – one of our favourite nuts, and the dog probably loves the taste too, but don’t give him them! While almonds are not toxic, they are difficult for a dog to digest, so can cause irritation and stomach upset. Pecans – the pecan nut is a no-go area for dogs – just as it is for other animals, including horses. It includes a toxin known as juglone; this is harmless to humans but can be dangerous for dogs. The result of ingesting pecans can include gastric problems and also stomach obstructions, so keep your pecan nuts away from the dogs. Hickory nuts – see pecans; these also contain juglone, so need to be kept away from dogs. Macadamia – these nuts are very much rich in fat, so are not recommended for dogs as they can cause a variety of stomach problems. They are also a member of the grape family, and it is a well-known fact that grapes are dangerous for dogs to eat. Pistachios – a favourite for you and me, but don’t give pistachio nuts to your dog. They can cause irritation and, in excess, even pancreatitis. That’s a few more of the nut family covered, then, so what else can we add? To be honest, the subject of nuts and dogs is one of general common sense, yet it is always tempting to keep your eager pet happy by throwing him or her a few of what you’re having every now and again. As the above shows, it may not be a wise thing to do. Reading the above, one may easily come to the conclusion that the best course of action is not to feed your dog nuts in any situation. This is in fact absolutely true. Dogs do not need nuts as part of their diet. 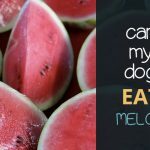 A well-cared-for dog will undoubtedly get a diet that is healthy for the animal, as you – the responsible owner – will have taken advice and information on what is best for your pet to eat. 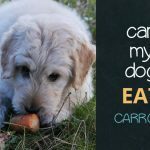 If, however, you are partial to a nutty snack yourself – and let’s be honest, many of us are – and wish to involve your dog, then the answer is to stick to peanuts – with no salt and out of the shell – and cashew nuts that have been cooked and shelled. And, of course, to give your dog very few – one here and there is wise – so as not to upset the dietary system. 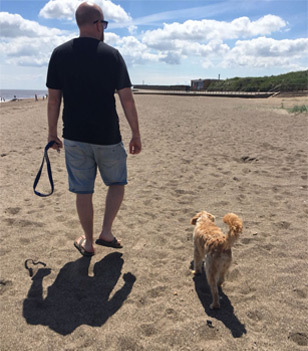 This is by no means a comprehensive guide so if you are concerned about snacks that you share with your dog – whether it is nuts or otherwise – then make sure you ask for advice from a qualified person. Finally, if you are enjoying a bag of mixed nuts, keep it away from your dog – you might accidentally feed it some that are not good for it.